Vector illustration of dragonfly and damselfly (Odonate) for Arizona Dragonflies. 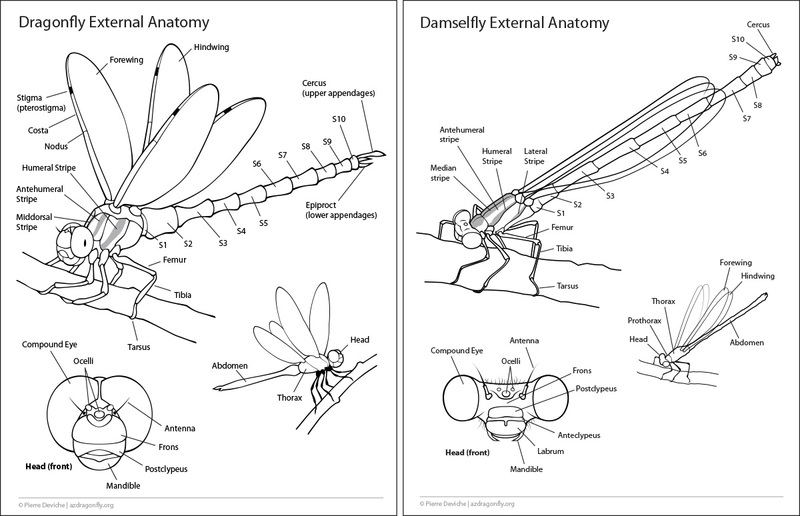 Dragonfly and damselfly external anatomy handout. 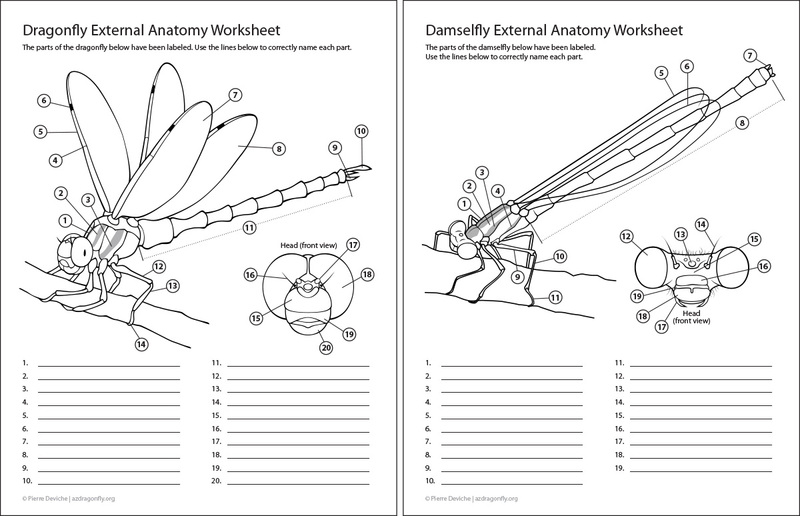 Dragonfly and damselfly external anatomy worksheet. Dragonfly and damselfly coloring page.